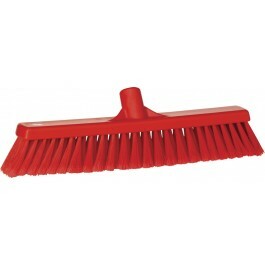 The Vikan 3178 is a soft bristle brush designed for use in a dry area of a food preperation area. Fully colour coded stock and filaments for enhanced colour coding designed to stop cross-contamination. The soft bristles are ideal for sweeping away fine particles such as flour stores. This broom is ideal for sweeping flour starch as well as other dry powders. Only suitable for use in dry areas. 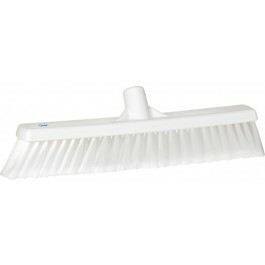 Suitable for sweeping fine particles.